Home > Money Clips > Valentine's Get Lucky Money Clip. 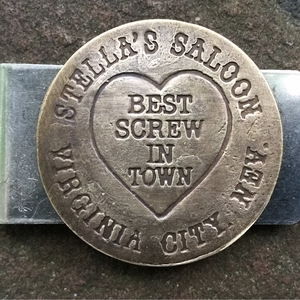 Best Screw in Town from Stella’s Saloon Brass Brothel TOken for men. 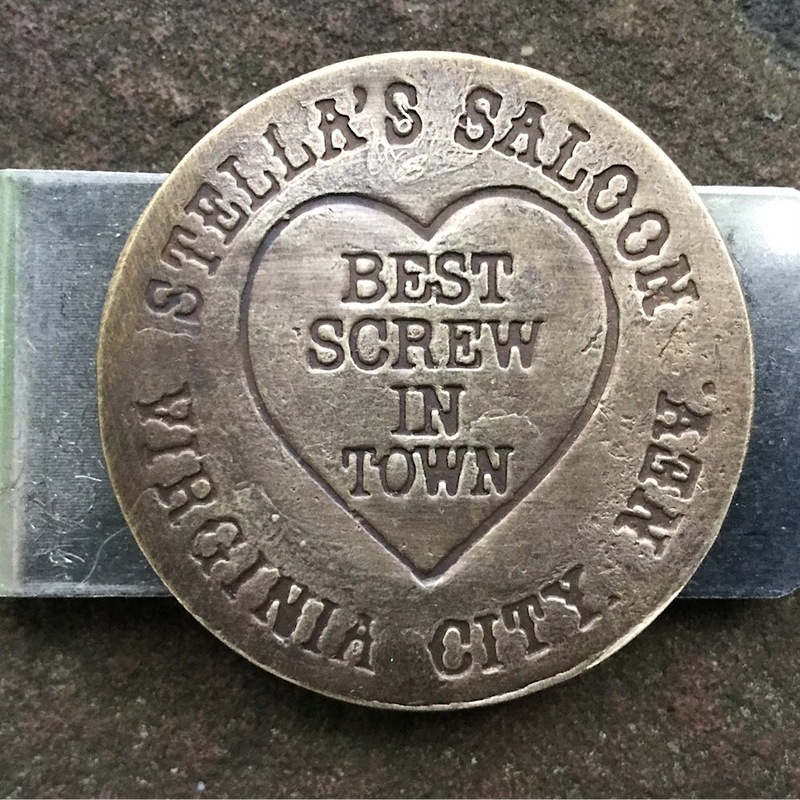 Brass Brothel token from Stella’s Saloon in Virginia City, Nevada on a stainless steel money clip back. This money clip is handmade in the USA by The Fun Company.